What happens when 5.11 Tactical collaborates with Viking Tactics’ Kyle Lamb? The Game Stalker Folding Knife is what happens. This knife offers remarkable versatility and cutting power. Plus, it’s built with rugged utility to survive your world. The handle comes with an hourglass shape and contoured texturing. The combination of texturing and aggressive jimping supplies you with serious grip — even in wet conditions. 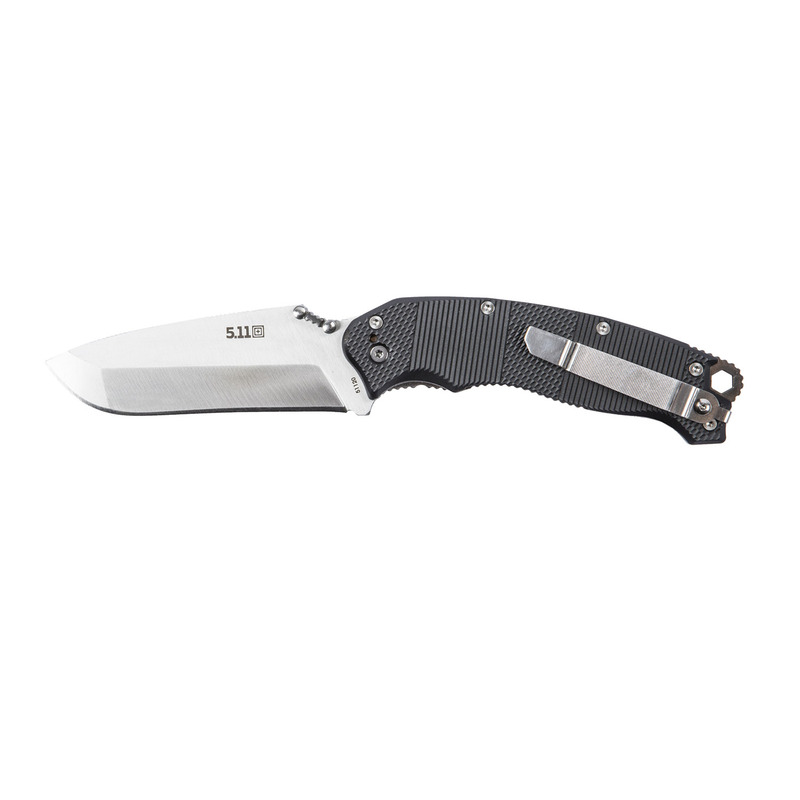 A pocket-sized folding design is complemented by a MOLLE- and belt-compatible ambidextrous FRN sheath (KN866), which fits both fixed blade and folder.